Texas is going to turn blue, but it is not going to be an event. It’s going to be a process. As we enter the Fall of 2014, it’s becoming clear that Mr. Lewis is absolutely correct. Election nights are what make the headlines, and what go in the history books. But those events are merely the sum total of an entire process… knocking on doors, making calls, contributing a few dollars here and there, fleshing out major issues, and solid use of the press. All of these things are the process by which Texas becomes a battleground state, and all of them are happening right now. After enduring years of weak candidates, Republican posers running on the Democratic ticket, gross campaign mismanagement and misdirection, Texas Democrats are getting their act together, and much faster than anyone thought they could. As a result of this process, Texans are realizing that we finally have a real choice in 2014. On Friday, the Democrats were handed a test of their burgeoning strength when Republican Gubernatorial candidate Greg Abbott announced that after originally agreeing to debate his Democratic opponent Wendy Davis, he decided to cancel the event due to “formatting issues”. This is after both gubernatorial campaigns had set up the debate on May 28th. 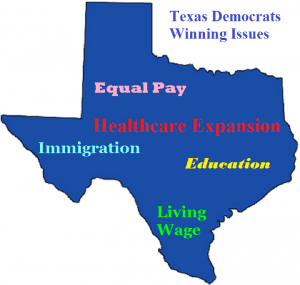 With the Texas Democratic Party of yesteryear, this simple cop-out would’ve worked. After all, Governor Rick Perry got away with no debates in 2010, only to deliver a Texas-sized embarrassment on the national stage the next year. But Greg Abbott is not so lucky. Within minutes of his pathetic reversal, blow back from the Davis campaign, the Texas Democratic Party, Battleground Texas, and a slew of other groups was swift and insurmountable. Once they realized that Texas wouldn’t stand for such a lame excuse, Abbott’s camp quickly fabricated a new plan… weasel out of the WFAA event (because it was sure to be televised across the state on major media outlets), and instead offer up an alternative on another area station in the hopes of dramatically decreasing viewer exposure. Doing so a month beforehand leaves TV stations scrambling to commit to even carry the event instead of their scheduled programs, and of course ruins all the pre-planned advertising for stations that have been committed since May. Yes folks… Greg Abbott is trying to pull the ole ‘Debate and Switch’. Just so we’re clear… Abbott does not want a debate with Wendy Davis at all. If the current trickery doesn’t work, there is no doubt that he and his campaign will concoct some other last-minute stunt. To put it simply, Abbott is afraid. Probably not afraid of Wendy herself, and given that he’s been a statewide elected official for a decade, he’s certainly not afraid of politics. What Abbott is afraid of is that Texans will learn the truth about the him and his TEApublican colleagues. He is afraid of having to answer the questions that Wendy is going to ask. How is he going to go on camera in front of millions of Texans, tout the “Texas miracle” and simultaneously justify draconian cuts to education? What will be a “miracle” is if Texans don’t see through the lies. Abbott’s ‘Debate and Switch’ may hinder an event or two, but it cannot stop the swing state process. If anything, these tricks should serve as encouragement that the process is working faster and better than most would have previously imagined. Texas Republicans are in for some big surprises this November, and unlike Greg Abbott, that fact is not up for debate. Off the Kuff and Brains and Eggs have more. 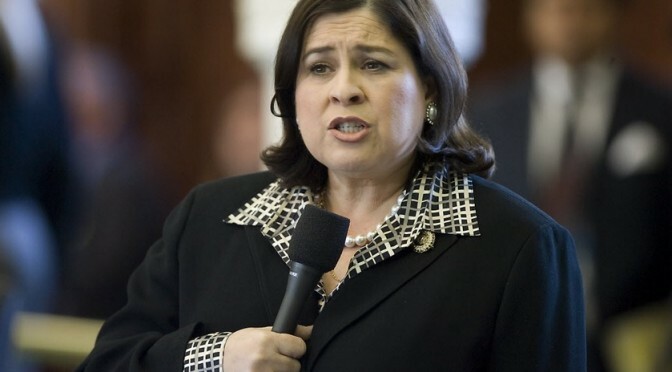 Austin, TX – On July 28, 2014, Senator Leticia Van de Putte released her Texas First debate schedule. She challenged Dan Patrick to at least five debates, broadcasted across major regions of this great state. After 15 days of silence, Dan Patrick’s staffer accepted one debate via Twitter. UPDATE: The debate is set for Monday, September 29th. 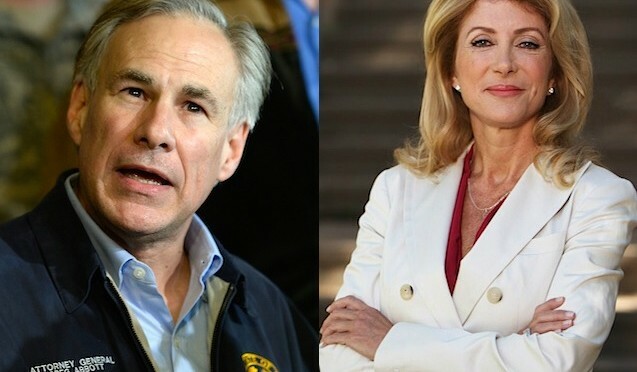 Gubernatorial candidates Wendy Davis and Greg Abbott will have two debates this fall… September 19th in the Rio Grande Valley and September 30th in Dallas. Like the TDP, Senator Van de Putte isn’t giving up on the fully proposed schedule. “I look forward to hearing from Dan on the rest of my proposal. One down, at least four to go. ¡Dale Gas!” Van de Putte’s camp said in a press release. This is huge news for the state of Texas, which hasn’t seen a true general election debate in over a decade for the office of Lieutenant Governor. There also hasn’t been a general election Gubernatorial debate since 2006. Many people may downplay that a general election debate is really all that important, but it serves an important purpose in presenting both sides of the political argument, especially to low-information voters or those that don’t pay attention to the election until the last minute. 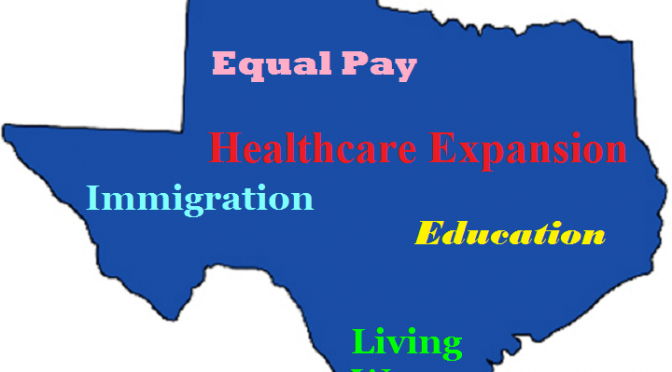 For a very long time in Texas, voters have been trained to believe that there is only one main viewpoint in this state…. Republican. But now, with at least 3 of these events to look forward to, Texas Democrats have another measure of proof that the party is getting stronger. Much of the pressure put on Dan Patrick’s camp to debate came from press releases and social media, and Van de Putte’s supporters have not let up. Could these debates change the scope of Texas Politics? No one knows just yet. But this year at least, Texas Democrats have a real fighting chance, instead being locked out of the ring altogether. Regardless of the final result in November, this is a win for the Party. The Texas Central Railway, the latest effort to launch high speed rail from Houston to Dallas, made their initial plans public this week and PDiddie at Brains and Eggs had the advance (before) and the post-press conference report (after).